Can any reader, take it from the Word? 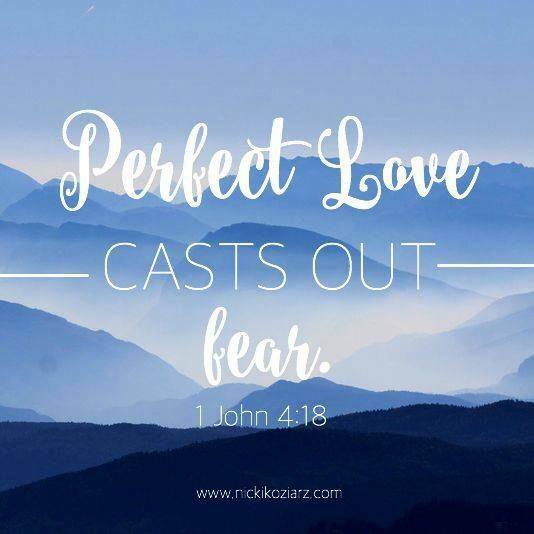 Perfect love casts out fear! and our faith in God works through love. Fear has torment, but godly love brings peace. “If you want to be made holy by fulfilling the obligations of the law, you have cut off more than your flesh – you have cut yourselves off from the Anointed One and have fallen away from the revelation of grace! “But the Holy Spirit convinces us that we have received by faith the glorious righteousness of the Anointed One. When you’re placed into the Anointed One and joined to him, circumcision and religious obligations can benefit you nothing. “All that matters now is living in the faith that is activated and brought to perfection by love” ~Galatians 5:4-6. But, what type of faith is going to ‘get you over the line’ when you’re confronted with fear? Let’s look at ‘our father’ Abraham’s type of faith and the correct position it brings us into, by God’s will and way for us. I was meditating on the scripture in Romans 4:21, where it says that Abraham was “fully convinced that God was able to do what He had promised”, which turns out to be God’s promise of a son for Abraham and Sarah, which is their son: Isaac. It’s stupendous really! For the whole process of this 20-year battle of Abraham’s to come into the fruition and fulfilment of the promise, is the mirror of our faith in the way that God has justified us – how He’s corrected our wrongs and made us right with Himself! “I-Am not vindictive”, says the Lord. “I-Am the Lord and I change not!” (~Psalm 89:34 and ~Malachi 3:6). I will not violate My covenant or change what My lips have said ~Psalm 89:34. For I am the Lord, I do not change ~Malachi 3:6. As believers in our Lord, we’re still often tempted to think that “God will get back at us” for what we’ve done or how we’ve thought and spoken of others etc. God is not vindictive and He does not change. It’s a subtle temptation, but it’s as real as the teeth in your mouth! It’ll bite you, if you don’t discern it. Can I use Abraham as the example? God’s promise to Abraham was for a son and an heir, which was Isaac’s birth and life (~Genesis 15:1-6). Abram gives up on the promise and seeks to fulfil it himself! (~Genesis 16), by submitting to his wife Sarah’s plot, that Hagar could be used as a surrogate mother for the promised child. And yet Hebrews 6:15 says that “Abraham waited patiently in faith and succeeded in seeing the promise fulfilled. And Romans 4:20 even says: “Abraham never stopped believing God’s promise, for he was made strong in his faith to father a child”, TPT. In Genesis 17, it seems that again, Abraham gives up on the promise, saying to himself first: “Can a child be born to a hundred-year-old man? Can Sarah, a ninety-year-old woman, give birth?” And then, saying to God, “If only Ishmael were acceptable to You!” ~Genesis 17:17-18. And yet, it says in Romans 4:21 that “because Abraham was mighty in faith and convinced that God had all the power needed to fulfill his promises, Abraham glorified God!”, TPT. Well, it doesn’t seem like glorifying God to say: “If only Ishmael…”, or is it? I think God ‘allows us’ to ask questions of Him. Further, Hebrews 6:15 says that “Abraham waited patiently in faith and succeeded in seeing the promise fulfilled. And both Romans 4:3 and Genesis 15:6 say that Abram believed God and it was credited to him as righteousness. So, despite all these waverings, and we’ve got to call them waverings and doubts by this ‘super model’ for our own faith: Abraham! God credited His faith as right-standing with Him and right-wisdom in His sight: righteousness! You see, God’s credit to Abraham of His righteousness, didn’t depend on Abraham’s doubts, waverings and questions, but on his faith! Even though Abraham submitted to his wife’s plot to fabricate the fulfilment of God’s promise and even though he backed up that quest by questioning God about it, he was still counted righteous by God due to his initial faith (~Genesis 15:1-6). For Abraham believed God when God said to him: “look at the numbers of the stars” and “so shall your descendants be”, through the promised son of your own that I-Will give you, through your own son, your own son! So, the apostle Paul says this is the way of our own faith too, for in Romans 4:22-25, the same way of faith that Abraham lived, is shown to be the way of faith that we live. We only have-to-have-had the “star gazing” encounter such as Abraham’s, where we’ve :seen: of-a-truth, that Jesus life, death and resurrection is God’s promise of our own right-standing with Him, in order to be justified by Him, in order for our wrongs to be corrected (justification) and for us to be given God’s own righteousness (right standing and right wisdom with-and-through God). Our ‘justification by God’ = the correction of our wrongs by God! Righteousness with God = right standing and right wisdom, given to us by Christ through Holy Spirit. It’s our Father in heaven’s will, by the covenant He’s sworn as His testament – the last will and testament of His Son’s death! Done! Finished. By the death of the Testator. As with Abraham’s revelation that “the number of the stars” were enough conformation, so too with us, that the effectiveness of Christ’s life, death and resurrection is more than enough to justify us before God, quite apart from any doubts, fears or waverings that we show, such as Abraham did. “So now you can see why Abraham’s faith was credited to his account as righteousness before God. And this declaration was not just spoken over Abraham, but also over us. For when we believe and embrace the One who brought our Lord Jesus back to life, perfect righteousness will be credited to our account as well (as well as it was to Abraham). Jesus was handed over to be crucified for the forgiveness of our sins and was raised back to life to prove that he had made us right with God!” ~Romans 4:22-25, TPT. Apparently, the Lord also made Abraham responsible for his wife, Sarah’s unbelief too: (~Genesis 18:13-15), because it was to Abraham that God addressed these words: “Why did Sarah laugh, saying, ‘Can I really have a baby when I’m old?’ Is anything impossible for the Lord?”. Or was God making Abraham responsible for Sarah’s faith? For He said these things to Abraham, and reassured him: “At the appointed time I-Will return to you, about this time next year, and Sarah shall have a son” ~Genesis 18:13-15. So, we’re getting close to the fulfilment of God’s promise to Abraham and Sarah: “about this time next year”, but in that same year, Abraham lied for the sake of his own protection to a king! about Sarah ~Genesis 20:11-13, but God protected him and the king! Abraham and Sarah were “as thick as thieves” together! and God was showing us by this, that “I-Am watching over my Word (the fulfilment of My promises to you) to fulfil it” ~Jeremiah 1:12. You see: The fulfilment of God’s promises doesn’t depend on “man who wills or does, but on God who shows mercy” ~Romans 9:16, and on our simple “amen” ~2 Corinthians 1:17. As we realise what His promises are, and put our trust in Him who has promised, we can say in His presence: Amen, ‘so let it be’ and ‘so it is’. That is, we’ve only got to obey the commissioning of God as Abraham already did, in Genesis 15 when God first ‘struck covenant’ with him. Our covenant with God now, is made by Him with us, in the body and blood of the Lamb. That’s the place to start with our faith in His salvation – the shedding of the blood of God’s son, which has justified us, and the coming of His body that now, grants us access to God, with God and for God’s purposes in the earth. God makes promises to us due to our commissioning in Christ, and then He watches over the fulfilment of those promises in order to fulfil them, and we just say: Amen. This brings glory to God, for He delights in getting glory for the work He does, and He does it all. Now that we’ve got that background, let’s picture it in context of Abraham’s and Sarah’s whole lives. The Lord appeared to both Abraham and Sarah on this occasion in Genesis 18 – it was most probably a pre-incarnate appearance of Christ himself, and He appeared along with two other angels (~Genesis 18:2) and Sarah was listening and observing the conversation at the door of their tent (~Genesis 18:10). But Abraham, by this stage, had experienced God’s presence at least twice. God and Abraham vs God and Sarah! But the Lord appeared to Abraham and Sarah on this occasion! (~Genesis 18:13-15). Back in Genesis 15, when God first made His promise to Abraham of a son and heir, He appeared only to Abraham, and made “an awesome show” of His covenant with Abraham through a vision and dream. So, Abraham “got acquainted” with God’s presence, first, on that occasion. It was an awesome occasion! Also, in Genesis 17, just before this appearance with Sarah; Abraham was visited again but alone, when God gave him the rite of circumcision. 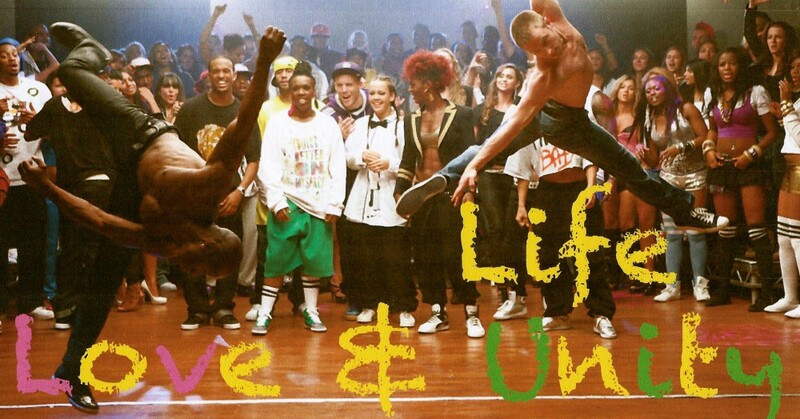 This was another awesome occasion, for Abraham “fell on his face” before God (~Genesis 17:3). So, “the tent occasion” where God appeared with two angels to Abraham and Sarah, must have been an awesome occasion for Sarah, for it would have been her first time in the presence of the Lord and His angels. This is why God “gave her an excuse” for lying when she said: “I did not laugh” at the promise of God for a child of her own, where God said: “No, but you did laugh”, and the scripture gives the reason: because she was afraid. Sarah hadn’t experienced God’s presence as Abraham had, so she was afraid when God and His angels ‘turned up’, and so: she spoke out of her fear. But God didn’t condemn her for it, nor even offer a word of discipline, but just acknowledges: ‘she was afraid’. Fear has nothing to do with faith, and God counts it this way! So, don’t be tempted to believe that God condemns you for any fear-based responses to His presence or the fulfilment of His promises. I will not violate My covenant, nor change what My lips have said ~Psalm 89:34. God treated Abraham and Sarah this way and they are the model for our faith, for we are “the children of Abraham” ~Galatians 3:7. They both failed as we do, but God was “watching over His word and promises to them, to fulfil them” ~Jeremiah 1:12, despite their apparent wavering. “So, those who are the true children of Abraham will have the same faith as their father!” ~Galatians 3:7, TPT. So, you’ve got a new father: father Abraham! When God looks upon our faith in Him, He sees nothing else but our faith, as proven by the above study of Abraham’s faith. God will discipline us for our own good, as any true father would, but this way of His righteousness that’s given to us, protects us from all fear, because our faith always works through godly love. “This is love: that God loved us long before we loved him! It was his love, not ours! He proved it by sending his Son to be the pleasing and peacemaking, sacrificial offering that takes away our sins.” ~1 John 4:10, TPT applied. We’ve got to ‘come to God’s party’ on this! For “God, justifies the ungodly” ~Romans 4:5. “When people work, they earn wages. Therefore their wages cannot be considered a free gift, because they earned it. But no one earns God’s righteousness. It can only be transferred when we no longer rely on our own works, but believe in the One who powerfully declares the ungodly to be righteous in his eyes. It is (your) faith (in God and His covenant) that transfers God’s righteousness into your account!” ~Romans 4:4-5, TPT. If we rely on our own works and any goodness we think we have, then fear can easily ‘sink its teeth’ into our conscience; but since we rely on God’s correction of our wrongs (justification through our faith in what He’s done for us) then we’re embedded in His love (confident in His righteousness as a gift given to us) and fear has no place in our hearts.